The Commission conducted the Paper-I of Junior Engineer (Civil, Mechanical, Electrical, Quantity Surveying and Contract) Examination-2017 w.e.f. 22.1.2018 to 29.1.2018. A total of 9,95,350 candidates registered for the examination and 5,70,189 candidates actually took the examination. The result of the said examination would be declared by the Commission on 26.3.2018. The Commission also conducted Paper-II of Multi-Tasking (Non-Technical) Staff Examination-2016 on 28.1.2018. A total of 1,59,183 candidates were shortlisted from MTS (NT) (Paper-I) Examination for appearing in this examination, out of which 1,43,657 candidates actually appeared in the examination. The result of the said examination would be declared by the Commission on 31.3.2018. Sub-Inspectors in Delhi Police, CAPFs and ASIs in CISF Examination (Paper-II), 2017 on 29.01.2018. 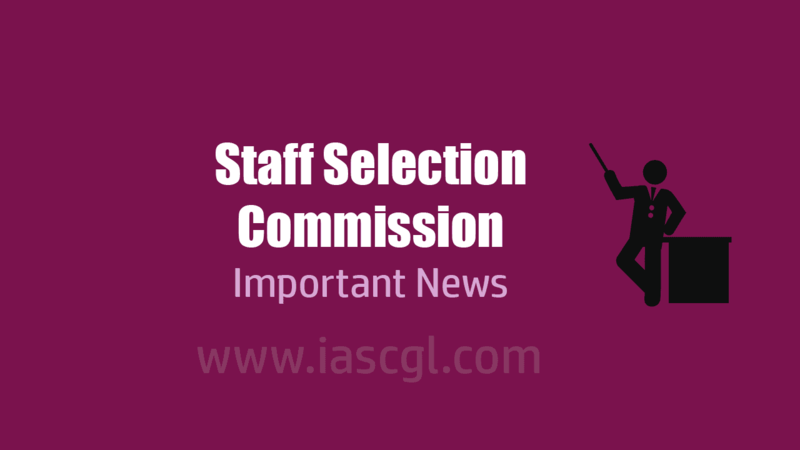 The Commission shall be completing the evaluation of the written examination for Constable (Executive) Delhi Police Examination 2016 and hand over the result to Delhi Police on the scheduled date i.e. 9.2.2018. The Commission shall be completing the evaluation of the written examination for Scientific Assistant in IMD Examination, 2017 and hand over the result to India Meteorological Department on the scheduled date i.e. 13.2.2018. The Commission would declare the final result of Combined Higher Secondary Level (10+2) Examination-2016 on 16.2.2018. The Commission would declare the final result of Junior Engineer (Civil, Mechanical, Electrical, Quantity Surveying and Contract) Examination-2016 on 28.2.2018.